The OSDC PIRE program partners with several international research institutions to provide qualified graduate students and early career scientists a unique learning experience abroad with experts in data intensive science and computing. Read about ongoing research projects at our international partner institutions here. For more information about past projects, you can also read about past students and their summer research projects. 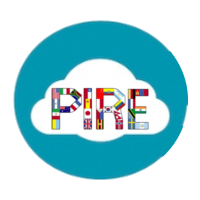 PIRE researchers are hosted by Paola Grosso, Cees de Laat, and Miroslav Zivkovic at the Informatics Institute, University of Amsterdam, Netherlands. PIRE researchers are hosted by Malcolm Atkinson’s Data Intensive Research Group at the School of Informatics, Edinburgh University, UK. PIRE researchers are hosted by Isao Kojima, Jason Haga, Kyoungsook Kim, and Steven Lynden at the National Institute of Advanced Industrial Science and Technology (AIST), Japan. PIRE researchers are hosted by Esteban Walter Gonzalez Clua in the Computer Science Institute, Universidade Federal Fluminense, Brazil. PIRE researchers are hosted by Tereza Cristina M. B. Carvalho, Karen Langona, and Fernando Redigolo at the Electronic Computing Center of the University of São Paulo (CCE-USP), Laboratory of Computer Architecture and Networks (LARC) in Brazil. These PIRE fellows are students who are already working closely with NASA scientists and other earth science researchers throughout their current graduate studies to help monitoring and forecasting of floods in the Namibia and surrounding regions. PIRE researchers are hosted by Chung-I Wu at the Beijing Institute of Genomics (BIG), Chinese Academy of Sciences, China.